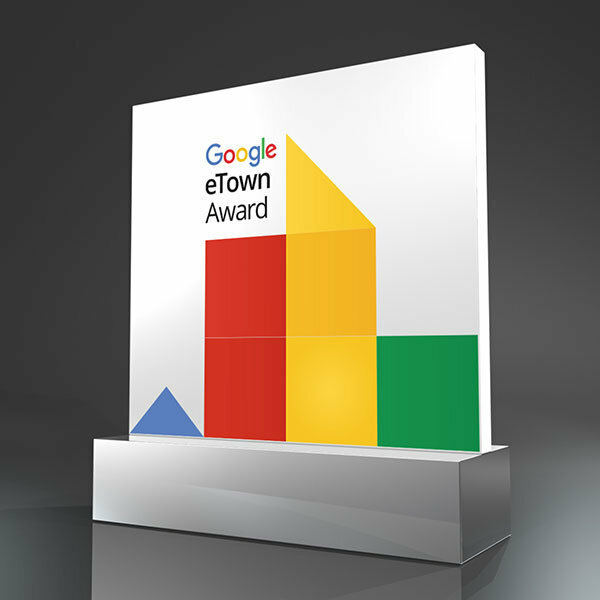 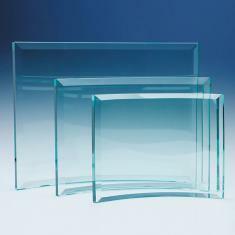 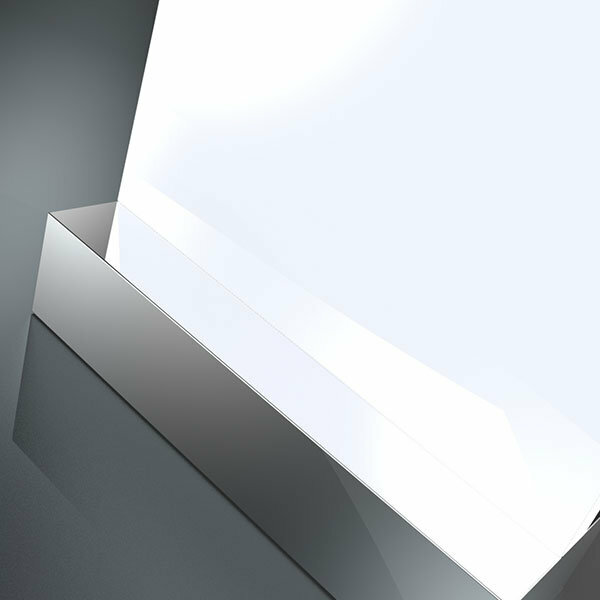 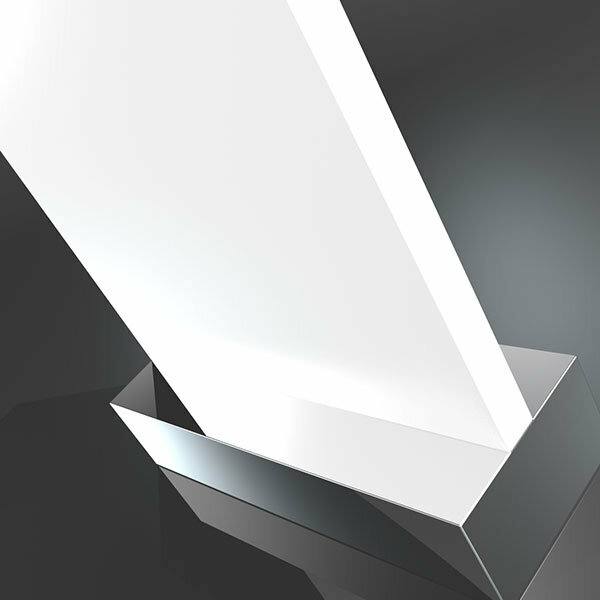 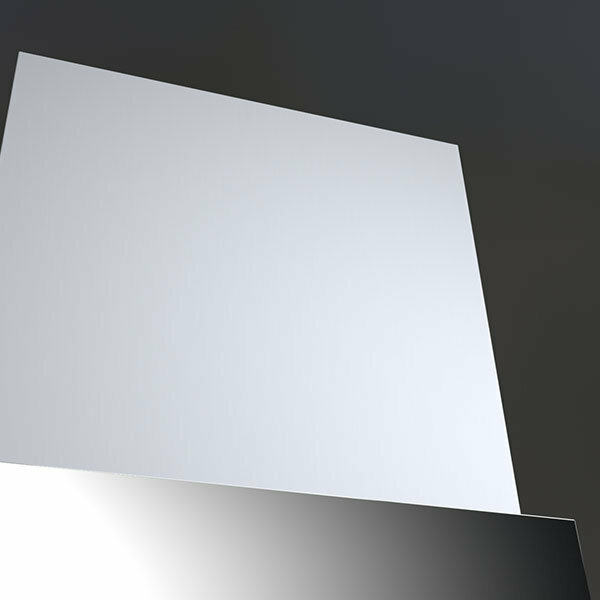 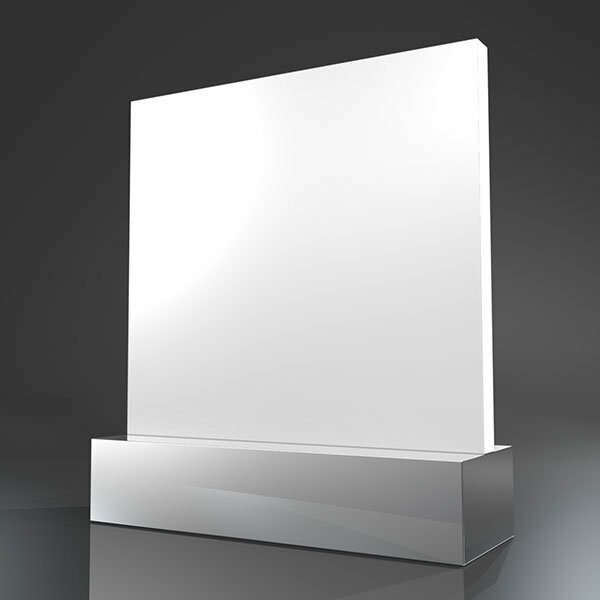 Rectangular Award in White Acrylic with a Polished Nickel Plated Aluminium base. 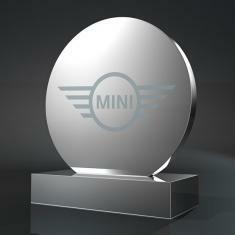 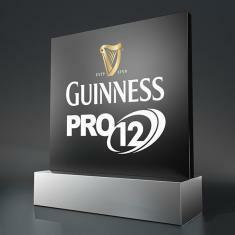 Each piece can be personalised with laser engraving or printing of your logo and winner text. 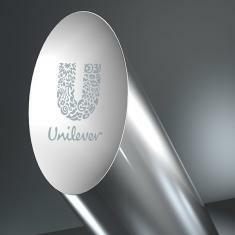 For full colour printing please contact us for a quotation.